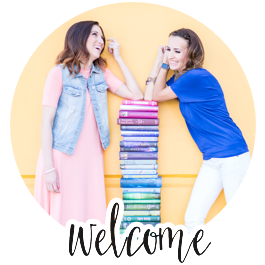 Authors often leave a legacy with the books they write, but have you ever wondered if their resting places are as noteworthy? Apparently I'm not the only one with the creepy obsession to author-stalk the dead. In fact, there's a website where you can stalk anyone famous (www.findagrave.com/). 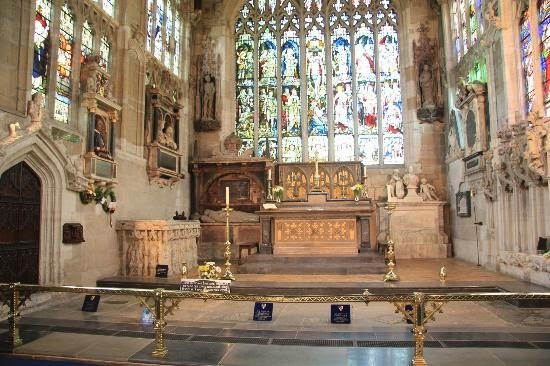 Church of the Holy Trinity where William Shakespeare was buried in 1616. 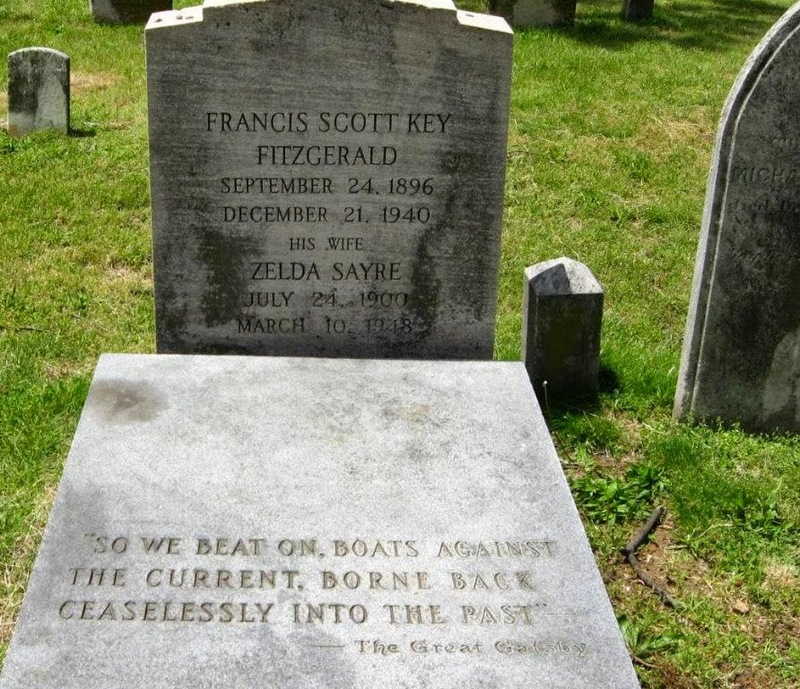 Strangely, Fitzgerald and his wife are not even from Maryland, but if you notice on his gravestone, his full name is Francis Scott Key Fitzgerald. Does that ring any bells? Yep, you guessed it. His distant cousin was the very writer of "The Star Spangled Banner." The original Francis Scott Key had family ties to Maryland. The story of Fitzgerald, not very religious and a known drunk, and how he came to be buried at a Catholic church is worth the read. 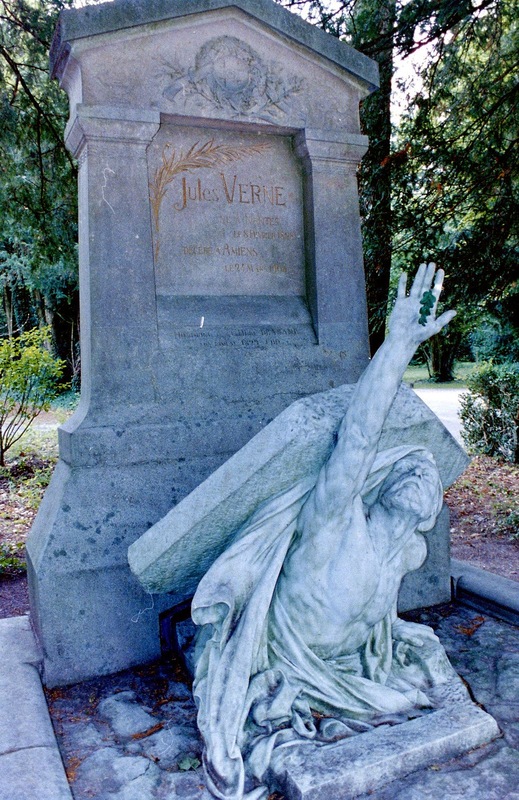 Adventurous geeks all around make the pilgrimage to La Madeliene Cementary in Amiens, France to visit the famous Jules Vern's grave. This iconic author, left his mark in books like 20,000 Leagues Under the Sea (which we just read for book club last month) and Journey to the Center of the Earth. His grave and the statue climbing from it, make it an icon in and of itself. Headstone at Jules Vern's grave site. What about J.R.R. 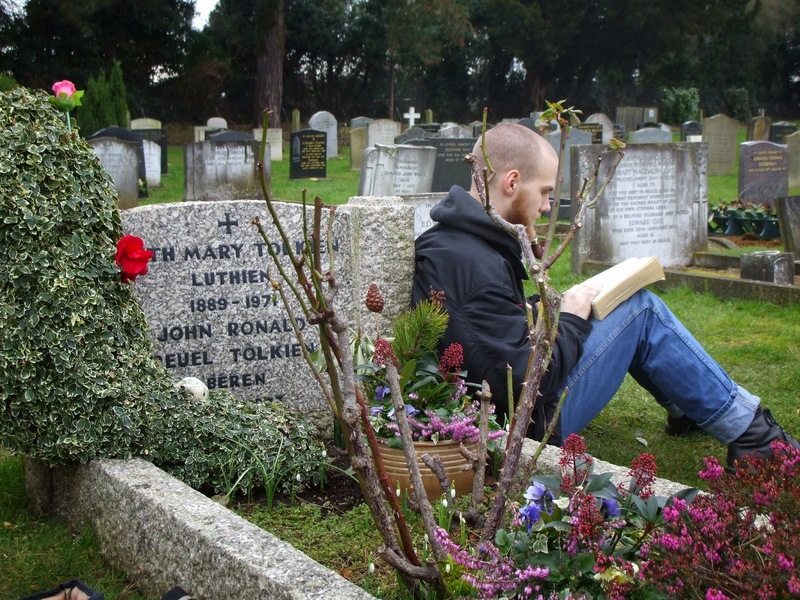 Tolkien (author of The Hobbit and Lord of the Rings)? He's got to be in some magical place, right? I'm going to be honest: I kind of thought it was a bit of a let down. Tolkien was buried in Wolverton Cemetary in Oxford, Oxfordshire, England. 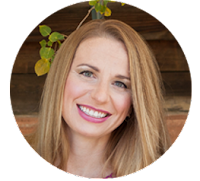 Maybe in person you can feel the magic or at least the eyes of a hobbit boring into the back of your head. 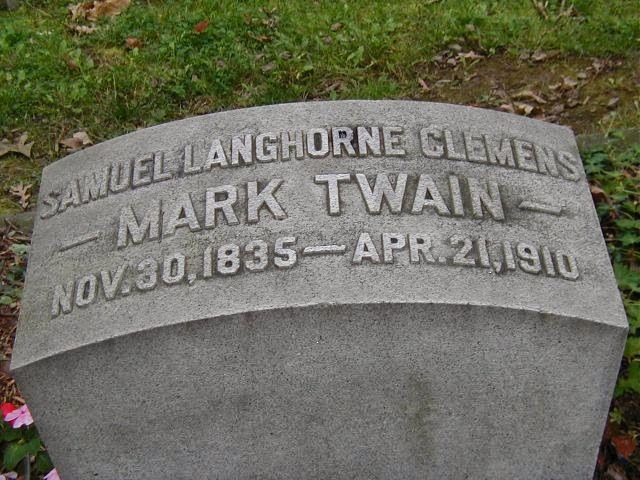 In Elmira, New York you can venture to the grave of Mark Twain. Like Dickens, Twain's grave is simple and unassuming. I almost wish that Huckleberry Finn or Tom Sawyer would have added some humor to his final resting place. Goddamn you all: I told you so. And that, my friends, is how you go out with the last word. 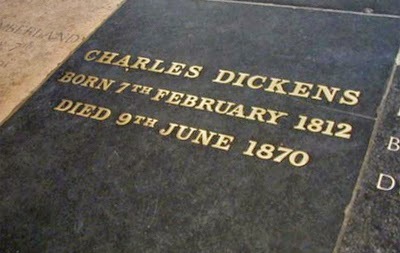 (for more funny epitaphs, check out these "last words" of famous authors). Love it Robin. That was so interesting and makes me want to look up grave sights of my favorite authors but also of the grave sights of some of my favorite musicians.